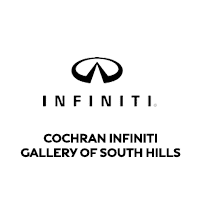 When components of your INFINITI need to be replaced or repaired, turn to Cochran INFINITI Gallery of South Hills. The team at our INFINITI dealership near Bethel Park, PA, can help you order OEM INFINITI parts and accessories, regardless of what you’re searching for. Is it time to replace your INFINITI headlights or taillights? You can find the exact lightbulbs you need for your specific INFINITI model here. Are you looking to add authentic INFINITI accessories to your ride such as new floormats or other interior amenities? You can order genuine INFINITI accessories to customize your INFINITI QX60, QX80 or whichever INFINITI model you drive. You can order the necessary INFINITI components with our online INFINITI parts order form and pick them up at our Pittsburgh INFINITI dealership. If you’d like our certified INFINITI mechanics to complete the part replacement, we’ll gladly make you an appointment in our INFINITI service center.